Tutubi was just gassing up Scarlett at Petron gas station on southbound EDSA, Cubao when he caught sight of the small bus terminal carved out at the opposite corner just next to Cypress Bomanite. 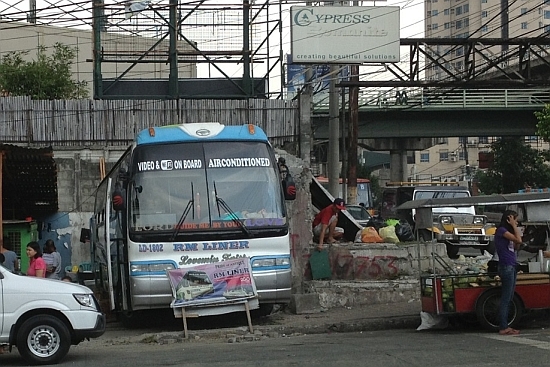 He took a through the windshield picture of the cramped bus garage where a parked bus going to Antique can be seen. Does display any contact number nor trip schedules (such very bright people managing it probably). The official website too doesn't have the information, merely full of "praise releases." Will just update this post once contact numbers, fares and trip schedules are posted.